Legal counsel with Debiopharm, a pharmaceutical development company based in Lausanne, from 1994 to 1998. 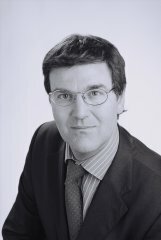 Assistant manager with CGI Compagnie de Gérance Immobilière, a Geneva real estate agency, from 1991 to 1994. Associate with Junod, Guyet, Mühlstein & Lévy, a Geneva law firm, from 1986 to 1990.